Since 8th of November the entire nation is after the news that is the ban on 500 and 1000 notes. Once the declaration is out people get worried how to convert their big denomination into the small ones. As we have seen that people are facing real problems depositing money to the banks and on the other bankers are facing issues to handle the crowd, banks have started Cash Deposit Machines in every main locations where people can go and deposit their money without any hassle. It is easy and can be hassle free for any common person. Cash Deposit Machines or CDMs are like ATMs. One needs to have a debit card for the account they want to deposit their cash in. At many places CDMs are found in ATM outlets as well. As said that these machines are similar to ATMs. The difference is ATMs dispense money and it takes your money. Just by following some steps you can easily deposit your big denominations to the machine. There are few steps to deposit money in the CDM. Step 1: Swipe the debit card in the machine just like ATMs and Punch the 4 digit unique pin you have for your debit card for validation. Step 2: You will see the options on the screen. Select the option ‘deposit cash’ by pressing the enter key on the number pad or touch the screen of the machine. Step 3: Select the account type ‘saving’ or ‘current’ account from the list shown on the screen. Then you can start depositing the money gradually. Step 4: Deposit the notes one by one in the deposit slot. You can only deposit 100, 500 and 1000 notes. You can only deposit 200 notes in total. 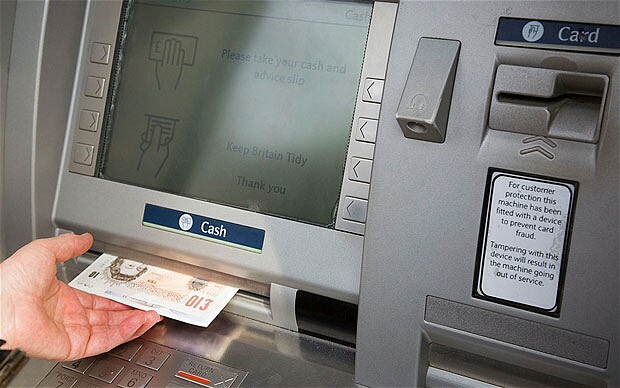 Step 5: Click on the deposit button and the machine will automatically settle the notes. You don’t need to do anything more than that. One can deposit maximum 49, 000/- per account. If you are using Google Maps then type ‘Cash deposit machines near me’ in the search tab to find the locations of the CDMs near you. Make sure to turn on the location of your device. The bank wise details will be shown in your screen immediately. From there you can get the location near you. On the other you can click on the following links to find the cash deposit machines introduced by the banks. These links will lead you to the CDM locators for your assistance.